Smartphone Nation Is this Google's next Nexus phone? 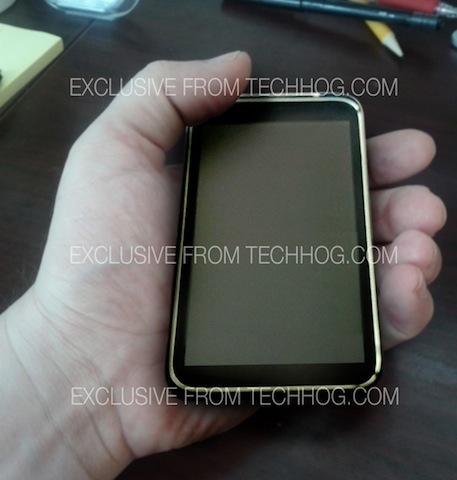 According to Mr. Blurrycam above, blog site Techhog.com has gotten an exclusive picture of what seems to be the next Nexus device from Google. The news comes from guy that works in the Android team at Google and who is very close to the author on Techhog. Being close to certain people does have its perks. The device shown above seems to be a device made by HTC and lacks the usual four hardware buttons as on previous Android devices, which Google seems to be doing away with Ice Cream Sandwich as they did with Honeycomb. News of this device made by HTC may come as a surprise to most of you since we’ve heard that LG was in the running to make the next Nexus device. People that are on the Android team are trying to push for the HTC made device due to HTC’s build quality as of recent (hence the HTC Sensation aluminum unibody build). Time will tell which device gets the decision and more news will break out in the near future. devices bears a strong resemblance to the Desire HD.